Ex Samsung , 20 Nov 2014Now Samsung copies apple with their PLUS. Samsung please be creative. iPhone is the role model... morebefore apple released its plus model, Samsung had various plus model namely samsung galaxy s plus, s2 plus. menthol, 20 Nov 2014Typical Samsung - copying the "Plus" naming convention from Iphone 6 Plus.S5 Plus was introduced in Korea much before even iPhone 6Plus rumours began. Try google dot come next time before making typical iboy comments. Announced "2013, January". . . .
menthol, 20 Nov 2014Typical Samsung - copying the "Plus" naming convention from Iphone 6 Plus.Really? are you that dumb? samsung's first "galaxy s" had an upgraded version i.e "galaxy s plus" long back.... so,can i say apple copied!! menthol, 20 Nov 2014Typical Samsung - copying the "Plus" naming convention from Iphone 6 Plus.Samsung did the Plus thing long before Apple with Galaxy S Plus and S II Plus. AnonD-299124, 20 Nov 2014Copy-Sung at it again. S5 'plus' lol.Samsung already has Galaxy S2 Plus before Apple. So i guess Apple is the one who's copying. menthol, 20 Nov 2014Typical Samsung - copying the "Plus" naming convention from Iphone 6 Plus.Samsung already has Galaxy S2 Plus before Apple. So i guess Apple is the one who's copying. menthol, 20 Nov 2014Typical Samsung - copying the "Plus" naming convention from Iphone 6 Plus.Really?? menthol, 20 Nov 2014Typical Samsung - copying the "Plus" naming convention from Iphone 6 Plus.Are you serious? Seriously, are you seriously serious? You are giving every Apple user on the planet a bad name (as if it wasn't bad enough). Hmmm maybe you're a Samsung user actually acting like an Apple fan? That's the only logical explanation I have. Samsung has to made something new. Copy-Sung at it again. S5 'plus' lol. menthol, 20 Nov 2014Typical Samsung - copying the "Plus" naming convention from Iphone 6 Plus.Trollol at it best. 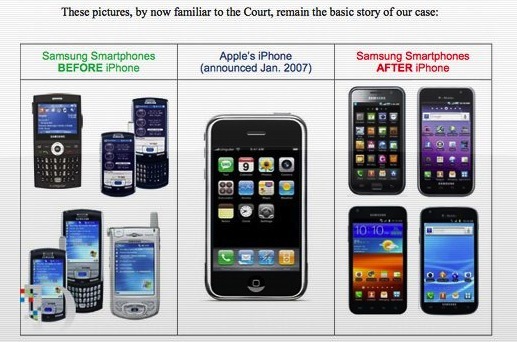 Its like samsung copied apple idea before apple itself had that idea with galaxy s plus long time ago. Nice samsung.